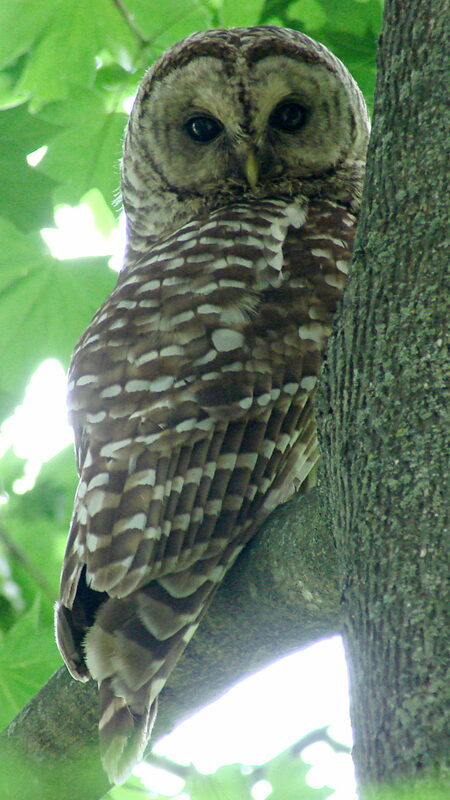 A pair of Barred Owls set up housekeeping nearby and we’ve watched them swoop down on rodents in the yard. 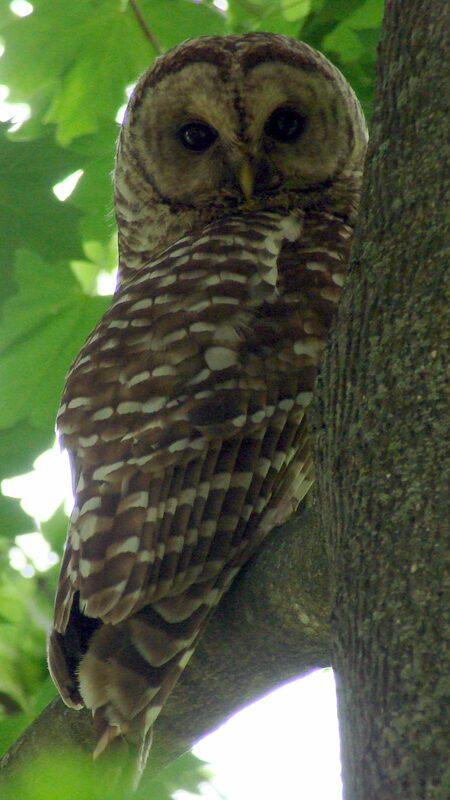 We hope they succeed in raising their owlets! Taken with the Sony DSC-H5 and 1.7× teleadapter, because the Pixel phone’s camera just doesn’t have enough moxie at full zoom.